Art Gallery Cards: Hedgehog Cards, Ladybugs, Oksana's Workshop Projects and Rearranging My Stamp Room! Hedgehog Cards, Ladybugs, Oksana's Workshop Projects and Rearranging My Stamp Room! Finally! A post! 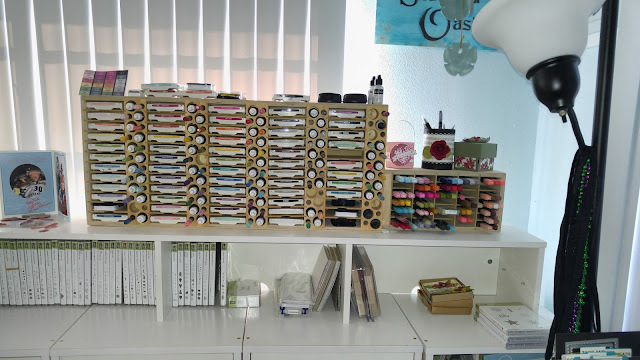 My annual sale has taken quite a bit of my free time the past several weeks. I held it on two days and it was a rollicking success! My stamping friends are putting so many of my retired papers, stamps and accessories to good use!! 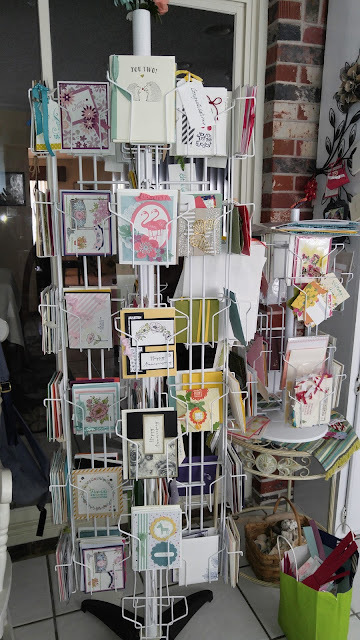 I was able to sell my paper racks and was able to have room for my new Stamp 'n Storage Paper Racks! I love their products. They are A+ workmanship and materials! Scroll down to see them!! 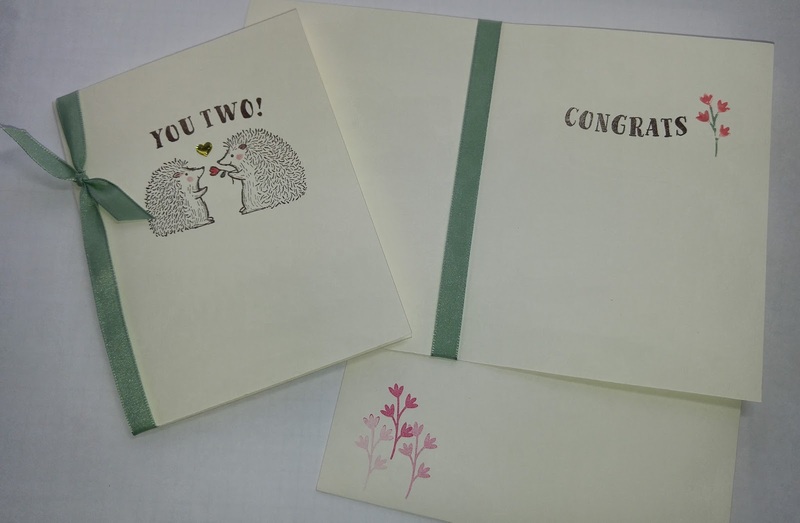 When I was in Hilton Head, I noticed a carousel of super simple commercial greeting cards and I thought, "Wow, we should do that!" This darling stamp set from the Host Stamp section is just the ticket. Super simple and sweet! Hope you like them!! On Saturday, I traveled to Port Orange (So worth it!) 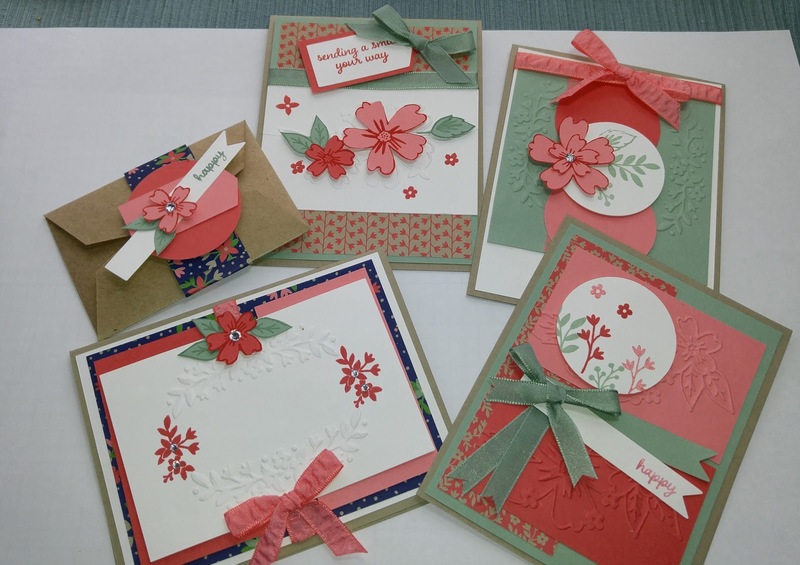 for Oksana Semenska's barbecue lunch and stamping workshop. We had delicious barbecue lunch (Thanks to Oksana's husband's wonderful chef skills! ), delicious homemade sangria and then off to the stamp rooms!! I always love to wander around Oksana's back yard to enjoy her wonderful gardens of lovely vegetables and herbs. A perfect day for a stamper!! We used the Love and Affection stamp set and coordinating embossing folders for all 5 projects. Aren't they beautiful! Mint Macaron, Watermelon Wonder and Flirtacious Flamingo were the colors of the day!! 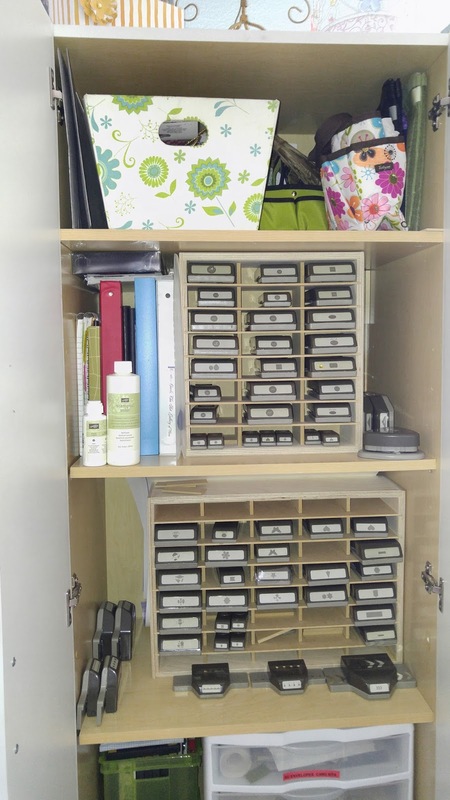 Here are some pictures of my reorganized card carousel and my storage containers in my stamp room! 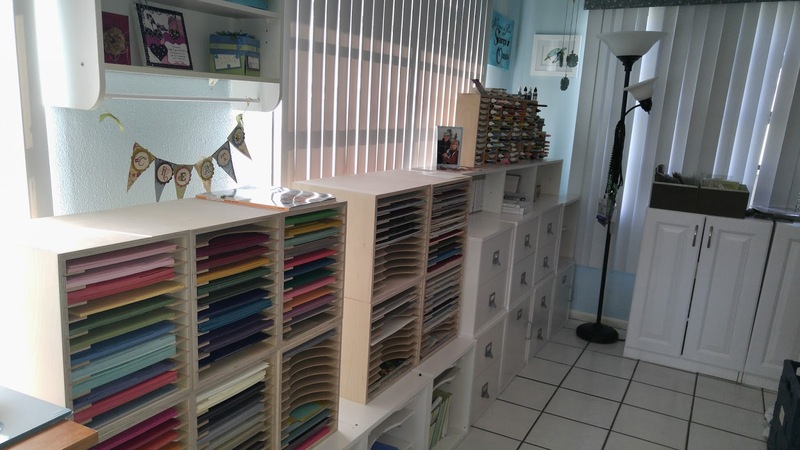 Thank you Donna K. and Clarice for helping me to find the room for my new paper storage racks!! 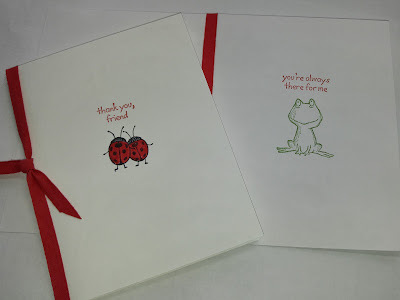 Happy Stampin'!! I'll see you soon! !